Perfect for a shower gift or to accompany their colorful life! Three (3) beautiful wool loops. 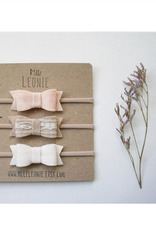 The trio is available on beige headband. Our baby / child headbands are one-size-fits-all, ultra-stretchy nylon, soft and comfortable. 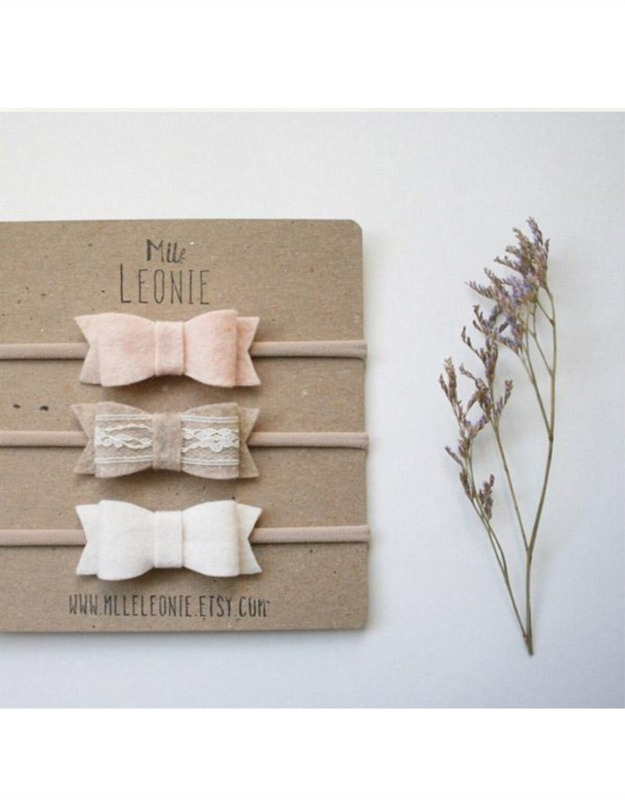 The world of Mlle Léonie is feminine and delicate. To highlight the beauty of your baby or your granddaughter, add a flower headband or a hair clip. Everything is done by hand in Quebec. Ideal for a photo shoot, a special event, a wedding, a baptism or a simple outing to the park! Above all, you will find articles that are designed to be practical! Accessories created for them and loved by you!